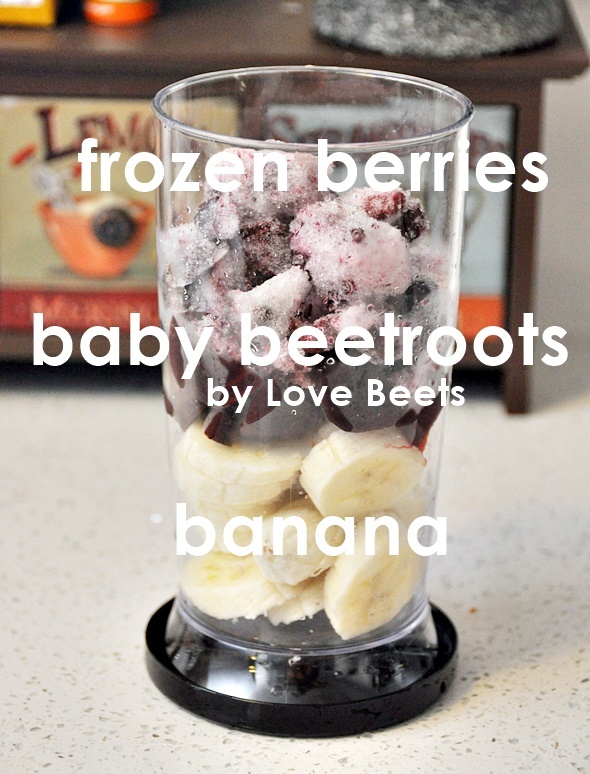 Icy beetroot, banana and berries smoothie anyone? I kicked start my Friday with this vibrant coloured concoction. So colour rich that I felt I was transformed into the cheerful and energetic Barney, the purple dinosaur! It must the Friday syndrome which made me unusually cheery, like the most of here no? Now guys, if one of your New Year Resolutions is to start eating beetroot, well, I cannot find a better way to enjoy this root vegetable through smoothie. If you are working towards loving beetroot (and yes, sometimes it takes hard work to love something), eating directly in a salad may be too earthy to some of us. However, if you coupled cooked beetroot with ingredients which most of us love, such as banana and berries, its earthiness is mellowed by these fragrant fruits. 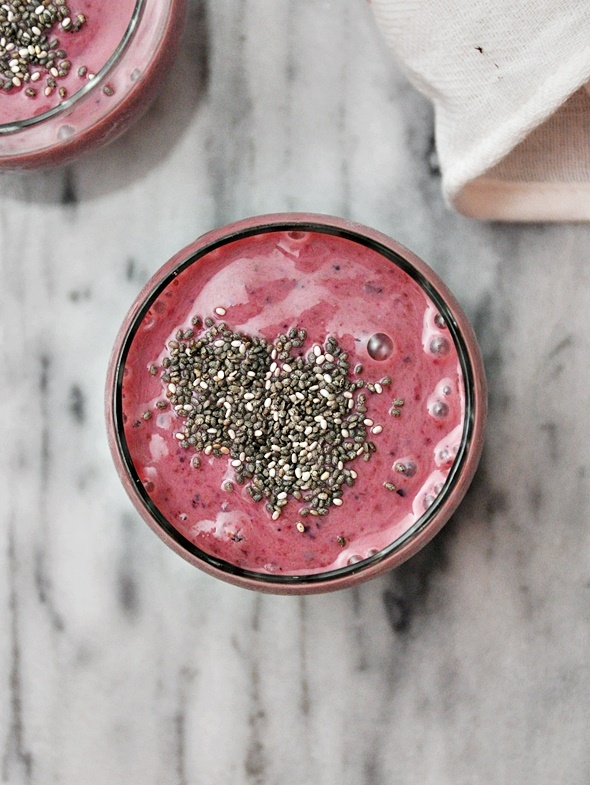 All it lends is at the end of day is the natural violet hue that makes a smoothie pretty to look at. Throw in the Happy Song by Pharrell Williams into the equation, you’ve got yourself a cheery morning! 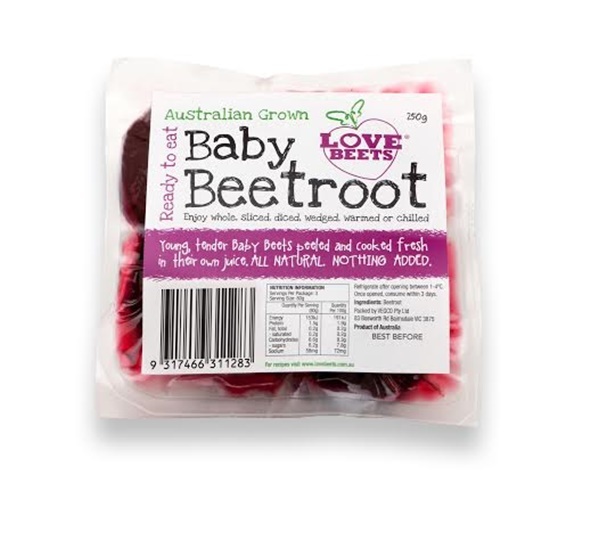 Defying the trend of moving food processing away from Australia, these Love Beets brand baby beetroot are locally grown and produced. They are peeled, cooked and vacuum-sealed and ideal for time-starved beetroot lovers who want to avoid purple stained fingertips. It’s worth noting that there is no added salt or sugar. These ready to eat baby beetroot also come in infused range featuring Balsamic, Chilli and Traditional Sweet & Mild flavours. 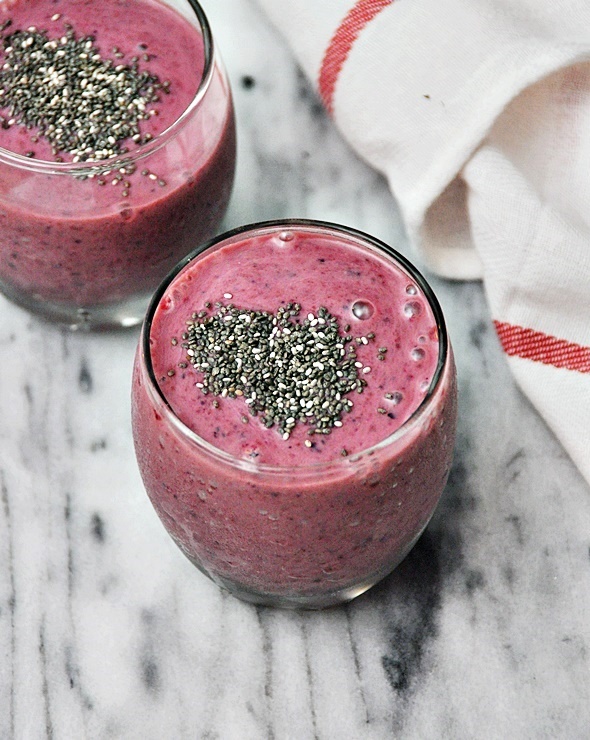 Add all the ingredients except for the chia seeds into a tumbler/blender, blitz until smooth consistency is achieved. Add more milk should you prefer a runnier consistency. Sprinkle some chia seeds and serve immediately. To find out more about Love Beets and beetroot recipes, please check out www.lovebeets.com.au. The Love Beets® Australian grown beetroot is scheduled to arrive in major supermarkets, independent outlets and greengrocers from February, RRP from $3.00 for a 250g Vac Pack. I also make beetroot smoothies! Beetroot is a powerful antioxidant!! However to get the nutrients beetroot has to be raw nt cooked! So I put beetroot through my juicer first! Just peel skin! Cut & put into juicer then add beetroot juice to blender or smoothie maker & add rest of ur ingredients!!! Delish!! & very healthy!! Enjoy! !